Here’s a quick phonetics lesson. There is a big difference between skor and skör, all thanks to the character (or in the case of the Swedish alphabet, letter) “ö.” The letter “o” with umlaut appears in several languages, but in Swedish, it serves as its own letter, a vowel, and is pronounced like the “i” in “bird” or the “u” in “fur” – thanks to a lesson from Swedish Made Easy. So, back to the candy bar. Skor launched in the United States in 1981, and if we had to guess, we think someone in Hershey’s headquarters neglected to consult a Swedish graphic designer when producing the wrapper. 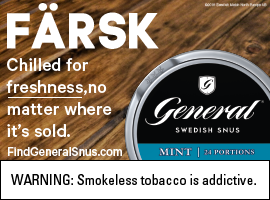 “Skor,” which is how the text appears on the package, means “shoes” in Swedish. 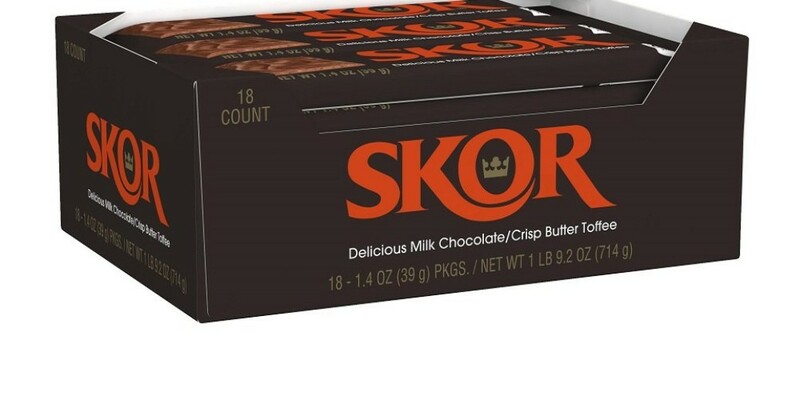 “Skör,” however, means “brittle,” which makes more sense for a product name, considering it is a fragile bar of brittle toffee covered in milk chocolate. Not only is its name Swedish (whether it’s for shoes or brittle is still up for debate), but the tre kronor also appears in the center of the “o.” Perhaps there is some sort of graphic design stretch that visually connects the crowns’ points to the “o,” helping those in tune read it as an “ö?” Who knows? 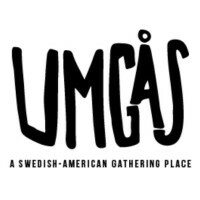 Why did they name the bar something Swedish in the first place? Another big question mark. Perhaps they wanted to mirror Sweden’s Daim bar? After stumbling across this ad from the 80s, it looks like they were leaning into Daim. For what it’s worth, Hershey created Skor to serve as a competing product to the Heath bar. And Daim was created to serve as a competitor to Heath. Hershey would go on to acquire the company that produces Heath, and they’d continue to sell both toffee-based products. Phew! So, what’s the point? Well, we don’t really have a point. Whether it’s skor or skör, the bar is buttery and delicious, and we’re going to keep eating it anyway, even if we can’t stop thinking about shoes.